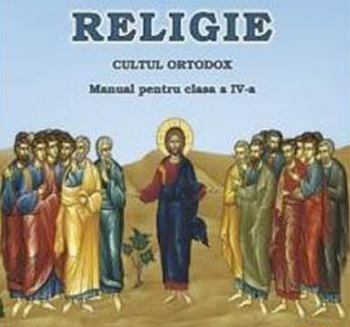 Detail from the cover of a textbook on Orthodox Christianity for fourth graders in Romanian public schools. Image from librariasophia.ro. Lorelei Mihala is a journalist with Romanian National Television. This article was originally published on Transitions Online.